Location: 110 Long Pond Road is home to the well established Long Pond Medical Building. Situated at the intersection of Long Pond Road and Camelot Industrial Park, and the back entrance of The Grove at Shops at 5 Way. 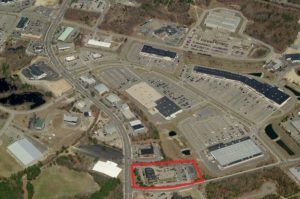 This location is less than one mile from Route 3 exit 5 and the Beth Israel Deaconess Hospital– Plymouth.